I had a question from a reader not too long ago asking about eCoupons and eSavings. First of all, eSavings and eCoupons are different animals even they both are loaded onto you card and are taken off directly from the register at check-out. 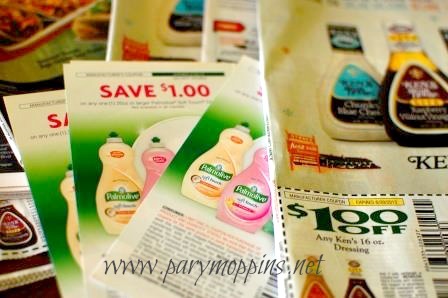 ECoupons cannot be stacked with paper coupons because essentially, they are the same thing. Also, the eCoupons come off of your total at the register meaning less out of pocket payment. ESavings (UPromise & SavingStar) go into an account which can be cashed out once you reach a certain threshold. These do not come off of your total at the register but can be stacked with paper and store coupons. Come off of your total at the register. Can be stacked with a store coupon and eSavings but NOT loadable coupons. Can be stacked with store coupons but NOT paper coupons. Cannot be deleted once they are on your card. Loadable coupons on a particular grocer's website are still manufacturers coupons NOT to be used with paper manufacturers coupons. Can be stacked with paper or loadable coupons and eSavings. Does NOT come off of your total at the register. 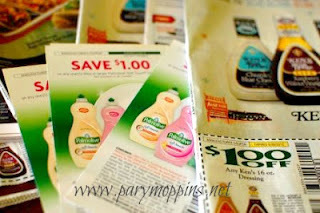 Can be stacked with paper and/or store coupons. The savings goes into an account and once you have accumulated enough to hit a certain threshold, you can "cash out" to receive a gift card. All coupons can be used in conjunction with sale prices. There is some disagreement as to whether loadable coupons and eSavings can/should be used together. If you have anything to add to this list, please do comment below.